The International Paralympic Committee is "greatly encouraged" by the progress being made by the organisers of the Tokyo 2020 Games. The governing body completed a review in the Japanese capital on Thursday. Only 12% of available tickets had been sold a month before the Rio 2016 Paralympic Games. 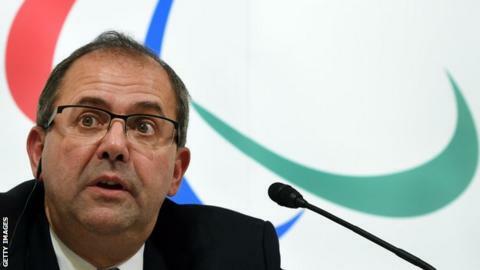 "The level of interest and awareness in the Games is like nothing we have experienced with three years still to go," said IPC chief Xavier Gonzalez. "We have been captivated by the visibility of the Paralympic brand around the city." Gonzalez added he was "confident" Tokyo 2020 could beat records for ticket sales set at London 2012, when one million tickets were sold in the first month they were available, with 2.85 million eventually sold.